The Travis Research Institute (TRI) provides the leadership, synergy, administrative support, and infrastructure necessary for faculty, students, and postdoctoral fellows in Fuller Seminary’s School of Psychology to carry out psychological and interdisciplinary research. The institute is committed to fostering interdisciplinary research in the relationships between social systems, environmental situations, personality, mental and affective states, cognitive processes, neurobiological functions, and spiritual and religious states and practices. Watch the video to learn more. 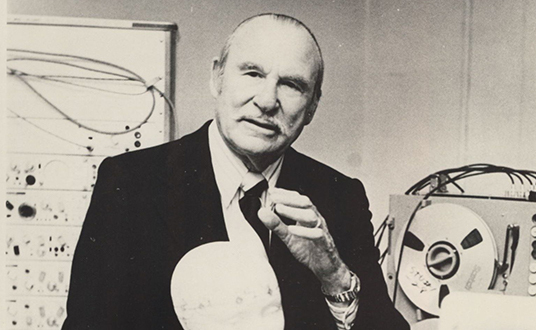 Lee Edward Travis (1896–1987) was founding dean of the Fuller Graduate School of Psychology at its inception in 1965. A widely respected, pioneering psychologist and speech pathologist, he had distinguished careers at the University of Iowa and University of Southern California prior to his Fuller deanship. Well known for his research in the area of stuttering, Dr. Travis was a founding member and past president of the American Speech and Hearing Association and, at the University of Iowa, was instrumental in setting up one of the first speech pathology programs in the country. He authored the Handbook of Speech Pathology and, later, edited the Handbook of Speech Pathology and Audiology. Travis was also among the first researchers to use electrophysiological measures for studying the brain. Travis served as dean of Fuller’s School of Psychology from 1965 to 1975. Under his leadership the school’s PhD in Clinical Psychology was accredited by the American Psychological Association; on his retirement, an auditorium was named for him. In 1988, the Travis Research Institute was established and named in his honor, embodying his vision of fostering interdisciplinary research and his legacy of excellence in empirical research and scholarship. For further details on Lee Edward Travis’s achievements and history, see the Festschrift Psychologist Pro Tem: In Honor of the 80th Birthday of Lee Edward Travis, edited by D. F. Tweedie Jr. and P. W. Clement.